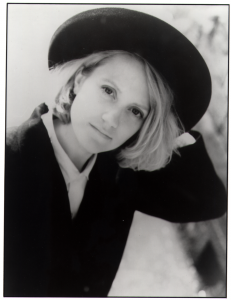 Virginia Astley is a writer and musician whose unique talents emerged throughout a productive career in the 1980s. From her many collaborations with a variety of notable names in the music industry, through to her own solo musical career and later critical acclaim as a writer, Virginia has managed to carve out her own particular niche. Having developed an interest in music from an early age, it was somewhat inevitable that Virginia would embark on a musical career. Taking up piano at the age of 6 and flute at 14, Virginia also had the bonus of having composer and musician Edwin Astley (whose successes included the theme music for cult 1960s TV shows such as The Saint and Danger Man) as a father. Post-school, Virginia enrolled in the Guildhall School Of Music in London – a location that also exposed her to the vibrant post-punk music scene of the time. Keen to broaden her musical palette, Virginia initially took on keyboard duties for pop outfit Victims Of Pleasure. She also linked up with former Skids frontman Richard Jobson for contributions to his album The Ballad Of Etiquette. This collaboration brought Virginia into the orbit of Belgian record label Les Disques Du Crépuscule, which in turn led to contributions to various Crépuscule releases (some of these melodies and ideas would later feature on her UK debut EP A Bao A Qu). Virginia also became part of an ensemble called The Dream Makers (in collaboration with filmmaker Jean Paul Goude). The results of this collaboration provided an early opportunity for Virginia to display her unique vocal charms for a cover version of ‘La Chanson d’Helene’ (‘Helen’s Song’) – a song originally sung by Romy Schneider in the 1970 French film Les Choses De La Vie. It was during this crucial 1980s period that Virginia started to give serious consideration to writing and releasing her own material, signing to independent label Why-Fi in 1981. It was through fellow Why-Fi artist Troy Tate that Virginia was asked to support psychedelic pop outfit The Teardrop Explodes. Initially sceptical, Virginia overcame her doubts about performing live by recruiting old friends Nicky Holland and Kate St John. Adopting the title of The Ravishing Beauties, the trio whisked off to Liverpool in 1981 to join the Teardrops for a brief series of gigs. Meanwhile, Why-Fi capitalised on the high profile of Virginia’s Teardrop activities by releasing the 10″ EP A Bao A Qu, which became Virginia’s debut solo release. The evocative melodies of this material were reflected in the choice of songs that The Ravishing Beauties were performing at the time on tour. Following the end of the Teardrop Explodes tour, The Ravishing Beauties continued with a few standalone gigs, but internal problems resulted in the trio parting ways in the summer of 1982. Keeping herself busy, Virginia had embarked on a new direction, which culminated in the instrumental album From Gardens Where We Feel Secure. Although the album had initially been scheduled for release on Liverpool’s Zoo Records label, plans fell through and the album was shelved throughout 1982. 1983 proved to be a complex year for Virginia. She scored some mainstream success via a new single release – the choral pop charm of ‘Love’s A Lonely Place To Be’. But despite enjoying more exposure as a result of this single, cracks had begun to appear in her relationship with Why-Fi. Unhappy with the level of support the label was giving her, Virginia left and founded her own label – Happy Valley. Joining forces with the Rough Trade label, Virginia finally managed to get From Gardens Where We Feel Secure released in the summer of 1983. Her debut album won her fresh acclaim from the music press, although Virginia was keen to return to more traditional music composition for future releases. The same year, Why-Fi released Promise Nothing – a compilation album of the songs that Virginia had recorded while on the label. Meanwhile, Virginia had been working on new material and assembled a loose working band around her. This included Anne Stephenson, Jo Wells and Audrey Riley. Among the many songs to emerge during this period were ‘I Live In Dreams’ and ‘Tree Top Club’ as well as the haunting ‘Waiting To Fall’ – later to feature on the Some Bizarre compilation If You Can’t Please Yourself You Can’t Please Your Soul. In 1985, Virginia released the Melt The Snow EP, which included tracks originally conceived as a winter alternative to Virginia’s 1983 album From Gardens Where We Feel Secure. The delicate strings-driven pop of the title track attracted the interest of the Elektra label, which resulted in the release in 1985 of euphoric pop tune ‘Tender’. A follow-up single, ‘Darkness Has Reached Its End’, saw Virginia switch to parent label WEA when it was released in November the same year. Keen to keep busy, Virginia focused on writing material for a new album. Ryuichi Sakamoto (founder-member of Japanese electropop outfit Yellow Magic Orchestra) had been a fan of Virginia’s work for some time and came onboard as producer. Virginia worked with Sakamoto on the potential tracks for the album, which included a new arrangement of ‘Tree Top Club’ as well as new songs such as ‘Some Small Hope’ – which included a duet with former Japan frontman David Sylvian. Lyrically, many of the songs for the new album had a darker edge than Virginia’s earlier material. The title, Hope In A Darkened Heart, however, hinted at optimism. Hope In A Darkened Heart received good reviews and a Japanese release of the album would be successful enough to persuade Japanese label Nippon Columbia to reissue From Gardens Where We Feel Secure in 1989. Virginia, meanwhile, had spent the post-Hope years focused on raising her daughter Florence, although she returned to songwriting in the 1990s with the release of the All Shall Be Well album in 1992. This album saw a more mature approach to songwriting and composition, although Virginia’s distinctive vocal style was present and correct. She had also continued to recruit from her immediate circle for collaborators, including Kate St John – as well as young daughter Florence on guest vocals. Meanwhile, Virginia was also attracting the interest of Japanese artists, including electronic trip-hop duo Silent Poets, for whom she contributed guest vocals on a few tracks, notably 1997’s ‘Don’t Break The Silence’. During this period, Virginia had also been keen to divide her time between both music and writing. One of the projects she was exploring at the time was a musical based on the Thomas Hardy novel The Woodlanders. Some of these ideas later surfaced in song form on Virginia’s 1996 album Had I The Heavens. Meanwhile, Virginia has kept busy on a number of writing projects over the years, including plans for a novel set in Dorset and a multimedia project titled The Stories Of The Fields (which explores the tradition of how fields were given specific names). Aside from her ventures into writing, she is still a keen musician and has collaborated with daughter Florence on a variety of live performances. These events often combine spoken narrative pieces by Virginia and harp performances by Florence. Virginia released The Curative Harp in 2015, a collection of poetry that won Ireland’s Fool for Poetry chapbook competition. In 2017, she became writer-in-residence at Thomas Hardy’s Cottage. She continues to perform, together with her daughter Florence on harp, at Max Gate – Thomas Hardy’s house in Dorchester. 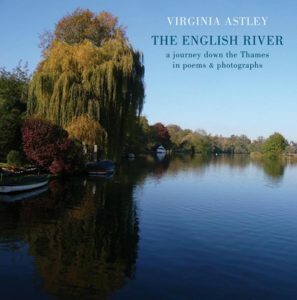 Virginia’s first book-length collection The English River combines both photographs and poems to paint a vivid picture of the river and the community that surrounds it. The book is due for release in June 2018 via Bloodaxe Books.